Meet my WHAT?! 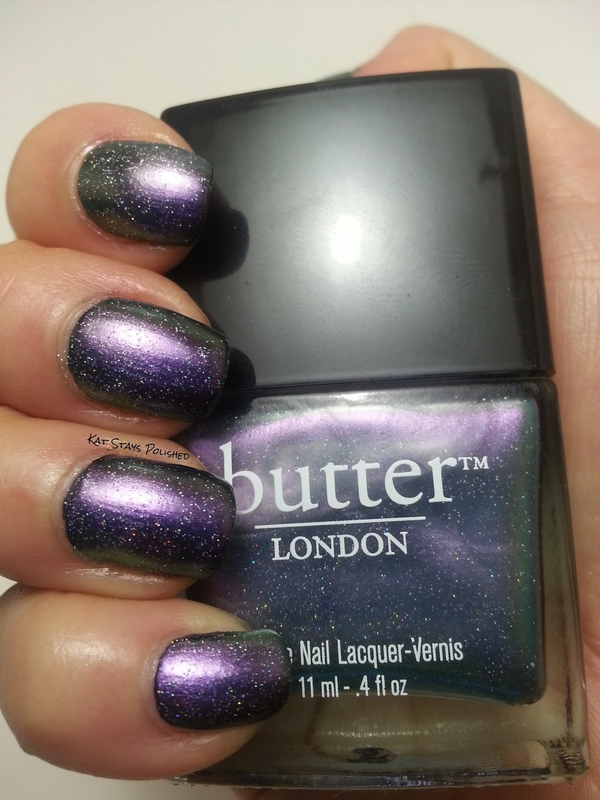 Oh, I just mean I used butter LONDON Knackered and JulieG Black Sheep to get this look! Ever since I got Knackered, I was in LOVE! I had never tried it over black, but duh, of course it was going to be amazing!!! 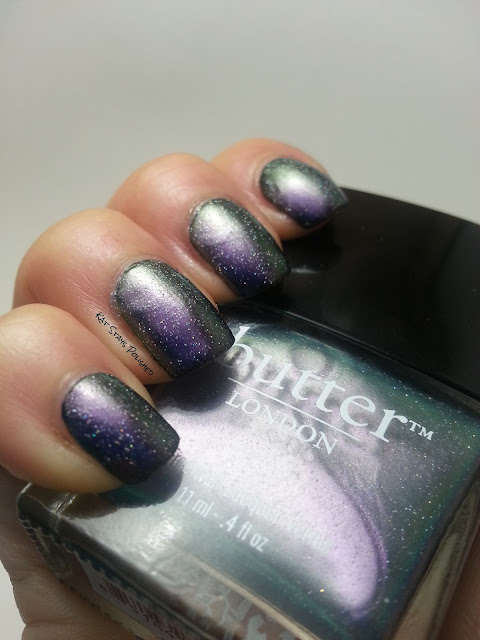 Below are pics of 2 coats of Knackered over 2 coats of Black Sheep. After that, I decided to do some cute stamping, just for an extra touch. Thanks for stopping by! What do you think?? What other color combos would you like to see? What other nail art would you like to see me try? Very cute. It's like a little galaxy. Ooooh! 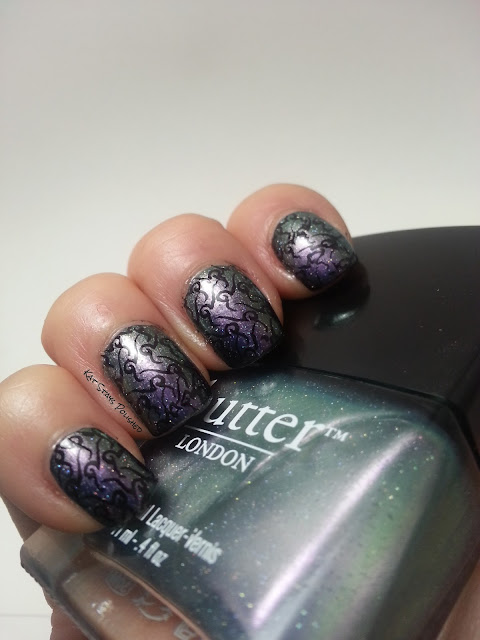 I never thought to try Knackered over a black polish ( I need to own it first though :-P ) and I love the stamping!! WOWZA, you made Knackered look stunning! 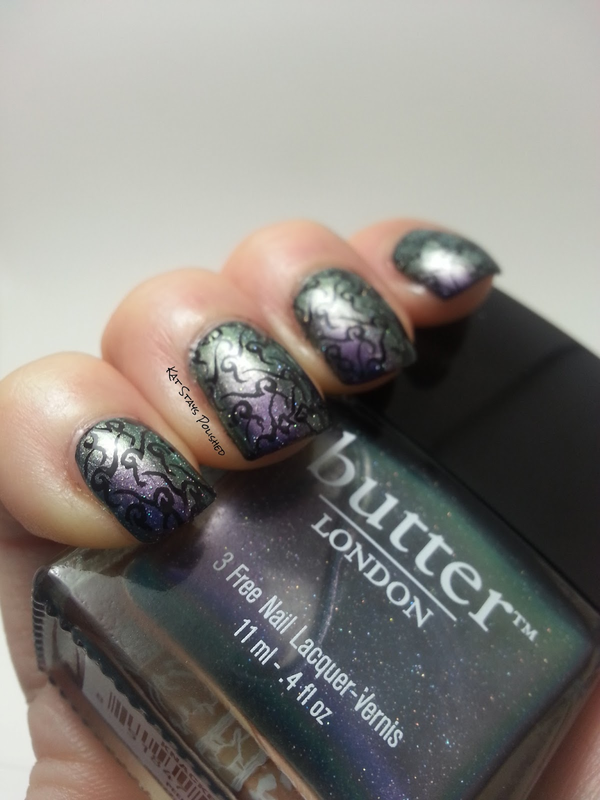 Love the stamping over it, too. Thanks ladies!!!!! Love all your comments! Wonderful ideology about nail art. The color combination is fabulous. Try with pink combination dear...! Its too good..